To fully understand your legal options after a car or truck accident it is always a good idea to order a copy of the police report. The insurance company is going to use this report to determine fault and to decide whether or not to pay your accident claim. You need a copy of the investigating officer's report. You may order the police report directly from the law enforcement agency that investigated the accident. 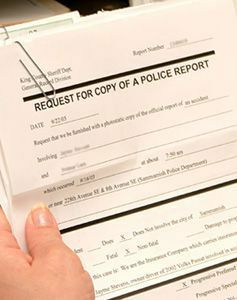 Which police accident report do you need?